Margaret Atwood, whose work has been published in over thirty-five countries, is the author of more than forty books of fiction, poetry, and critical essays. 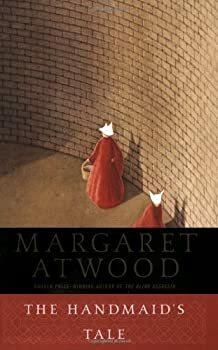 In addition to The Handmaid’s Tale, her novels include Cat’s Eye, shortlisted for the Booker Prize; Alias Grace, which won the Giller Prize in Canada and the Premio Mondello in Italy; The Blind Assassin, winner of the 2000 Booker Prize; and her most recent, Oryx and Crake, shortlisted for the 2003 Booker Prize. She lives in Toronto with writer Graeme Gibson. Margaret Atwood was born in 1939 in Ottawa and grew up in northern Ontario, Quebec, and Toronto. She received her undergraduate degree from Victoria College at the University of Toronto and her master’s degree from Radcliffe College. Learn more at Margaret Atwood’s website. 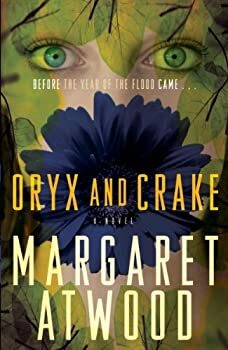 In Oryx and Crake, Margaret Atwood details an apocalyptic plague, introduces a new species of creatures that have been genetically designed to replace humanity, and the villain is a mad scientist in love. What could be more “SFF” than Oryx and Crake? It is well documented that SFF readers love trilogies, prequel trilogies, tetralogies, and “cycles.” Some authors describe settings, but SFF authors “build” worlds and universes. For many SFF readers, the standard of a well-built world is whether or not it warrants a series. 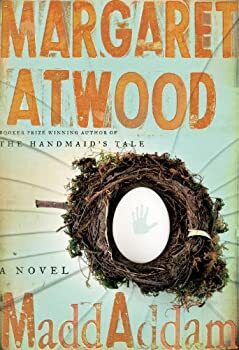 MaddAddam is the concluding volume of Margaret Atwood’s post human-apocalypse trilogy, which began with Oryx and Crake and continued with Year of the Flood. I say “Post-human-apocalypse” rather than post-apocalyptic because more so than most novels in this sub-genre, I’d say Atwood makes it pretty clear that our apocalypse is not the world’s, that in fact, this little blue ball of water and rock will spin on quite nicely without us, as will whatever life inhabits it at the time. So sorry humanity, contrary to what you might think, once you’re gone, Earth isn’t going to curl up into the fetal position with a pint of ice cream and an old tee-shirt. It’s seeing other species. A provincial Canadian town in the 1920s doesn’t automatically scream sci-fi to most readers. 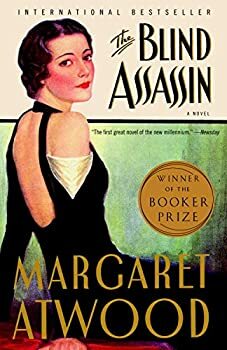 But that is the beauty of Margaret Atwood’s tenth novel, The Blind Assassin (2000). She weaves a sprawling, post-war tale with pulp science-fiction stories that have readers leaping between Port Ticonderoga and Planet Zycron. It doesn’t sound like it should work, but the story is only made richer by these contrasting worlds. It is Alicia Ostriker, in her wonderful collection of essays Dancing at the Devil’s Party, who writes “the true poet is necessarily the partisan of energy, rebellion, and desire, and is opposed to passivity, obedience, and the authority of reasons, laws and institutions.” Daring to deconstruct one of the most dearly held myths of the Western world, Margaret Atwood’s 2005 The Penelopiad is certainly a tango step or two with the one with the pitchfork tail. Taking The Odyssey and turning it on its head, from comedy to tragedy, Atwood gives readers Penelope’s side of the story. 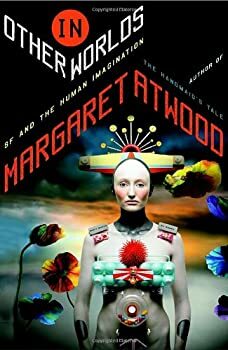 I confess to being somewhat disappointed by In Other Worlds: SF and the Human Imagination, Margaret Atwood’s collection of essays (along with a handful of fiction shorts) dealing with science fiction. 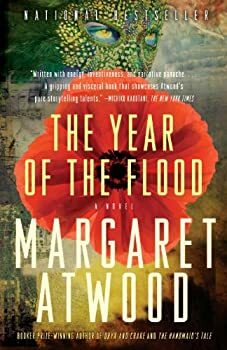 She has long been a favorite author of mine, and her science fiction (or speculative fiction as she’d prefer) works are my favorites among her books: The Handmaid’s Tale, Oryx and Crake, The Year of the Flood, the science fiction elements of The Blind Assassin. She’s also an insightful critic and a sharp non-fiction writer. So I was looking forward to seeing her thoughts on the field I’ve been reading in for so long. Margaret Atwood is hardly an unappreciated author. Booker winner, seemingly constant nominee for the Orange and Booker prizes, Harvard Arts Medal, Orion Book Award, and the list goes on. 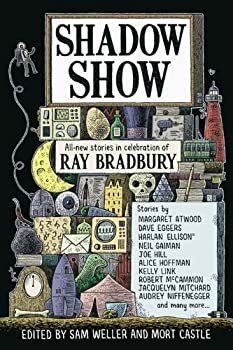 But one thing I’d say she doesn’t get enough credit for is her humorous touch, which can be scathingly, bitingly funny, and which is on frequent display in her newest collection of short stories, Stone Mattress: Nine Tales. In the Vintage Hogarth Series, contemporary authors put their individual novelistic spin on a Shakespeare play. 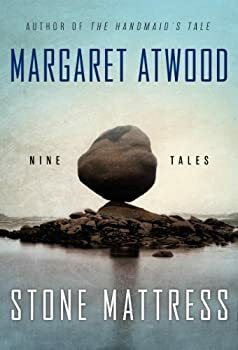 So far the series has seen the release of Jeanette Winterson’s The Gap of Time (The Winter’s Tale), Howard Jacobson’s Shylock is My Name (The Merchant of Venice), Anne Tyler’s Vinegar Girl (The Taming of the Shrew), and now Margaret Atwood’s Hag-seed (2016), which for most of its 300+ pages is a wonderfully charming, witty, and at times moving update of The Tempest, set not on a mysterious island but instead in a medium-security prison in Canada. For a literary giant who is approached with a seriousness that borders on reverence, Margaret Atwood is perfectly willing to have fun and write whatever she wants. Sometimes that is clearly genre-tinged; sometimes it is darkly humorous, and sometimes it’s a graphic novel for children about a superhero who is part human, part cat and part owl. And that’s the premise of Angel Catbird, Volume 1.